Omer came up with his creation when thinking about José León Bouteiller, a Cuban Frenchman and one of the Bacardi founders in the mid-nineteenth century. Omer wondered what would have happened if Bouteiller had controlled the Bacardi company, and become Governor of Cuba. How might classic Caribbean cocktails have evolved with a strong French influence? This got me thinking about the history of both punch and cocktails in France. France owned several Caribbean islands with sugar plantations, where in 1694, a Dominican priest Père Labat arrived in Martinique, bringing the latest advances in distillation technology, including the alembic still. His arrival sparked a change in the production of alcohol, including rum, in the French Antilles. But before rum could become popular in France, it was banned there in 1713, to protect French brandy production. As a result, eighteenth century French punch was based on brandy (wine based), eau de vie (fruit based), wine and occasionally arrack, and was very different to the highly alcoholic rum punch drunk today in France. 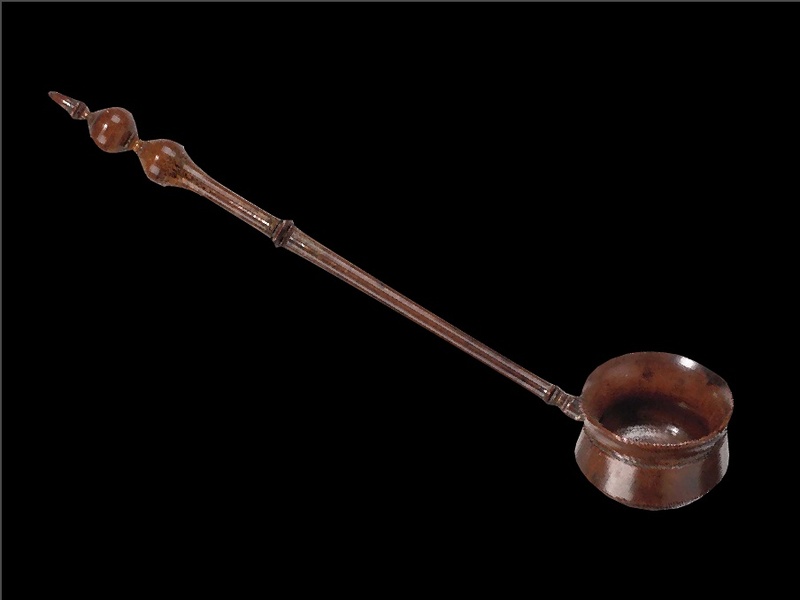 In Descriptions des arts et métiers (1780) wooden punch ladles were recommended for a better taste, and ladles made with pear wood (Persian style) were popular. 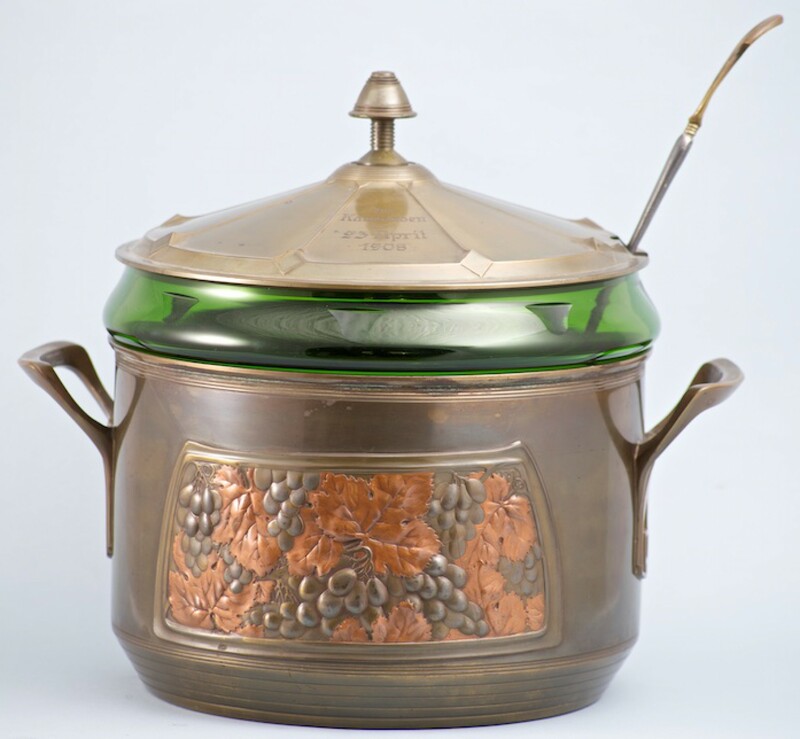 Eau de vie de poire (pear brandy) was regarded as giving the finest flavour. I have found that the right balance of citrus and sugar enhances the pear flavours beautifully. 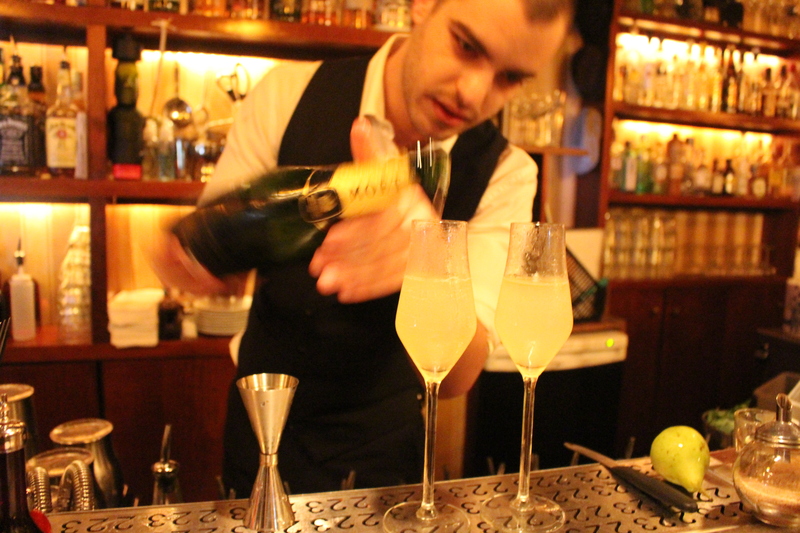 Omer’s winning French Governor cocktail has, for me, the delicacy of the eighteenth century French punch with the combination of fresh pear fruit, zesty lime citrus notes and the added complexity of the gently sweet anise flavours of tarragon. Beautifully balanced and fresh, with each component contributing to the whole, not competing with or drowning out the other flavours. The rum gives weight and emphasises the fruitiness of the pear. Finishing off with Champagne, whose gentle effervescence lifts the whole. Not too sweet or too strong, French Governor certainly ticked all the boxes for me as a classic cocktail, and I would love it served in a punch bowl too, served with a pear wood ladle! Shake the Bacardi, syrup, and both fruit juices over ice and strain into a chilled champagne flute. Top with the champagne and add the garnishes. Over a medium heat, dissolve 1 cup (7 oz) of sugar into 1 cup (240 ml) of water. Bring the mixture to a boil, add 30 grams (1 oz) fresh tarragon, stir, and remove from the heat. Allow to cool to room temperature, strain through a double layer of dampened cheesecloth, and refrigerate. 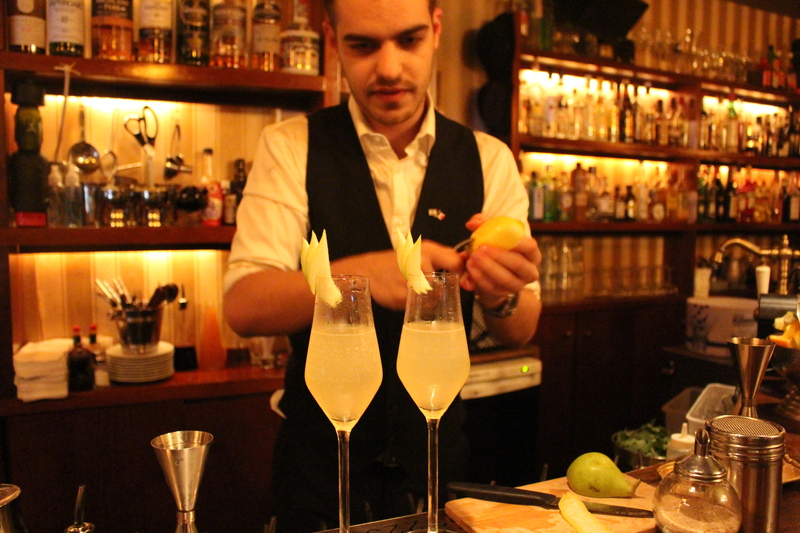 Cocktail makers post your pictures of this cocktail on https://www.facebook.com/frenchgov. The finals of the competition will be in late February 2015.